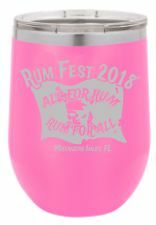 12oz Stainless Steel Double Wall Vacuum Insulated Stemless Wine. 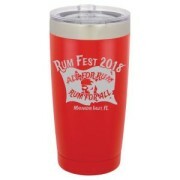 Features lid and vacuum insulated design for longer hot or cold drinks. 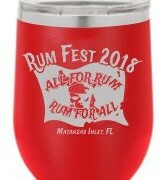 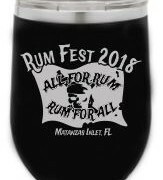 Powder coated exterior color with engraved/etched 1 color Rum Fest 2018 logo. 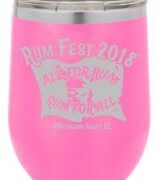 Available in black, red or pink only. 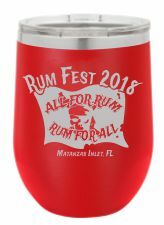 Be the first to review “Rum Fest 2018 Double Wall Vacuum Insulated 12oz Stemless Wine with lid” Click here to cancel reply.